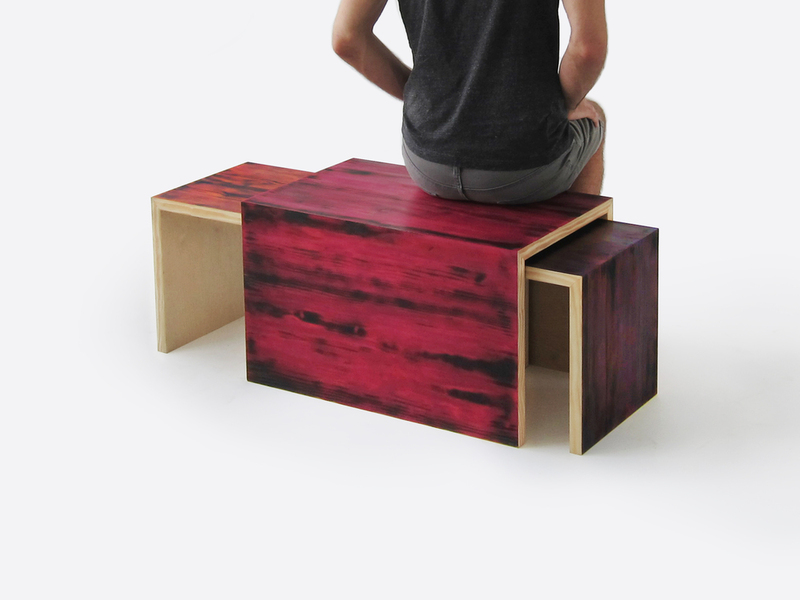 building on a previous project, dreaming in cmyk, the char-colour furniture is coloured through burning CMYK pigment on wood to create vibrant and animated waxed finishes. just as cyan, magenta, yellow and black are the primary units of the colour spectrum, simple forms are used in various combinations to create a dynamic range of furniture. two independent processes, wood charring as a finish and processed CMYK printing as a means to colour, are combined in a collection of modular furniture which highlight the analog gradation made possible by this method of manual colour application. 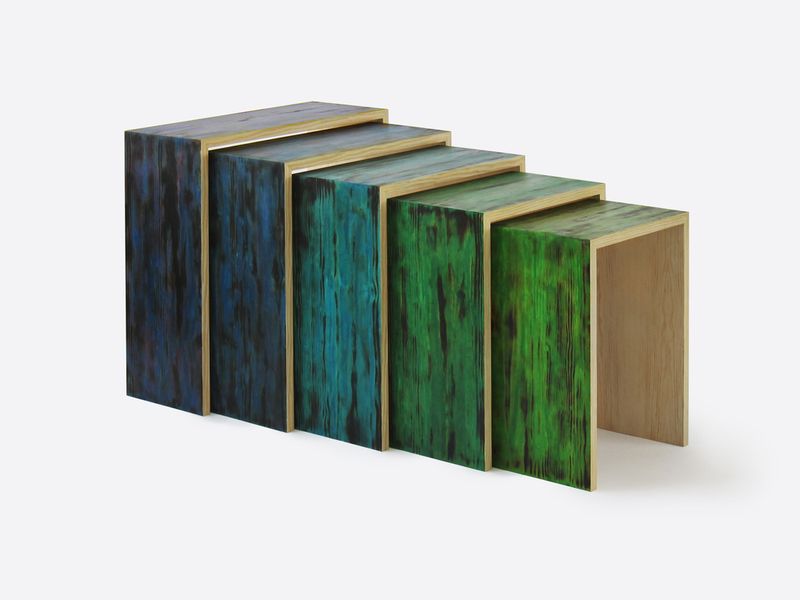 the combination of synthetic pigments (which allow the full color spectrum to be procured with utmost ease and consistency) and a bespoke traditional finishing technique (which uses fire as a primal tool to protect wood) is simultaneously recollective and forward-thinking.